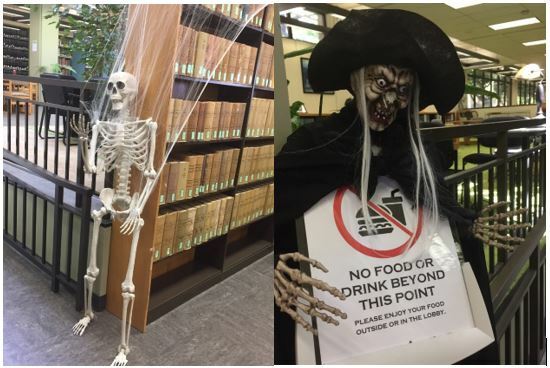 It’s a SPOOKY time at the Law Library! Each year the Law Library lobby is decorated for the annual Law Student with Keiki Halloween Event. Law school is tough and law students with keiki are often busy studying. This event invites faculty, staff, and law students with keiki to bring their children dressed in costume to Trick-or-Treat through the law school. 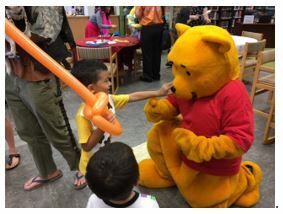 Faculty, administration, and library staff also dress up and give treats to keiki who visit. Children then parade for some fun and games as well as refreshments in the Law Library lobby. This year’s event will be held on Tuesday, October 31, 2017, from 3:30pm to 5:30pm. Bring your keiki…. if you dare!